Today only – save 15% off of Prospurly when you use coupon code EARTHDAY! You can only sub on a month to month basis? 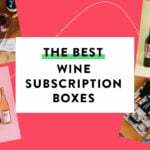 Like most boxes you can pick a 3 or 6 month subscription for a bigger discount. Then add a coupon on top of that. On Cratejoy, it has a coupon code: LIFE for 20% off today.